Jewish and Muslim Democrats in the House of Representatives gathered for a private meeting to discuss anti-Semitism and religion after Democratic Rep. Ilhan Omar received backlash for repeatedly using anti-Israel tropes. The anti-Trump organization Bend the Arc moderated the discussion and a representative reportedly made an anti-Semitic joke during the meeting. Democratic Connecticut Rep. Jahana Hayes questioned why the “joke” was appropriate and criticized its use. A member of a progressive anti-Trump organization, comprised of American Jews, used an anti-Semitic trope while meeting with Muslim and Jewish House Democrats to discuss recent allegations of anti-Semitism within the party, according to a report published Sunday. Democratic Michigan Rep. Andy Levin invited Bend the Arc to moderate a discussion on religion and anti-Semitism between Muslim Democrats in the House and some of their Jewish Democratic colleagues, reported The Washington Post. 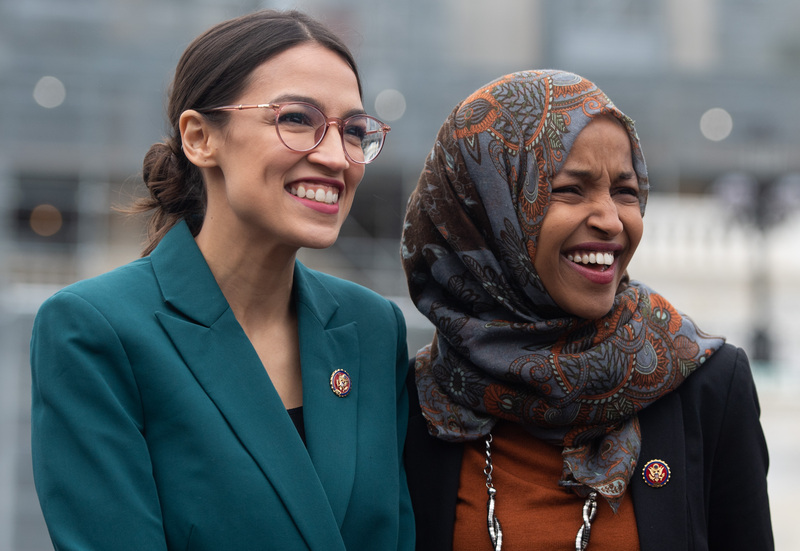 In addition to Reps. Ilhan Omar of Minnesota and Rashida Tlaib of Michigan, America’s first two Muslim congresswomen, other freshman progressives were also invited, such as New York Rep. Alexandria Ocasio-Cortez, who has defended anti-Israel statements Omar made. Bend the Arc is a left-wing advocacy group whose members are comprised of progressive American Jews — its mission is “rising up in solidarity with everyone threatened by the Trump agenda to fight for the soul of our nation.” Bend the Arc’s PAC was organized by Alexander Soros, the son of Democratic mega-donor George Soros. The meeting was largely in response to Omar’s claim that Republican support for Israel is bought by the American Israel Public Affairs Committee (AIPAC). Her comments received swift condemnation from members of Congress on both sides of the aisle, including from House Speaker Nancy Pelosi and the Democratic leadership. During the meeting, a Bend the Arc representative who was facilitating the discussion reportedly made a joke about Jews and money in what was claimed to be an attempt to ease tensions, according to WaPo. Connecticut Rep. Jahana Hayes, another freshman in attendance, questioned why the joke was appropriate. Omar has defended her anti-Israel statements, such as ones invoking Allah to expose Israel’s “evil doings,” and she is on record suggesting Israel is not a democracy. She also gave an interview to a host that referred to Israel as the “Jewish ISIS” and mocked how Americans speak about al-Qaeda and Hezbollah. EDITOR’S NOTE: This post has been updated to reflect that Bend the Arc is focused on domestic social change and does not hold positions on matters relating to foreign policy, including Israel and Palestine.